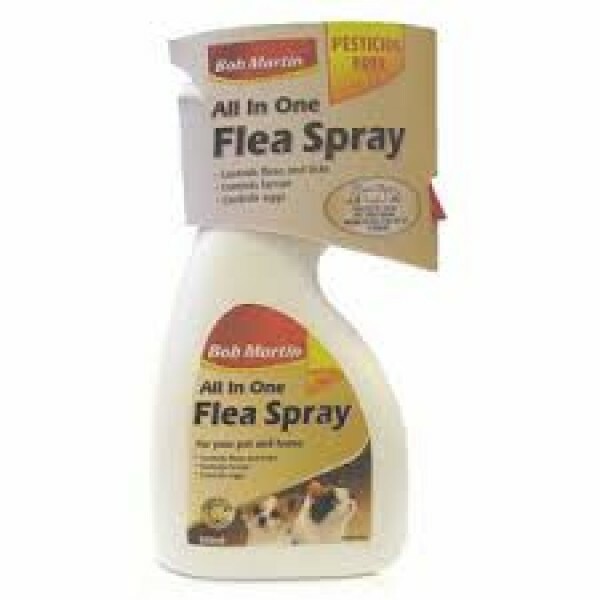 This Multi-Purpose Flea Spray by Bob Martin is the only flea spray you will ever need. It is safe for use on cats and dogs as well as on pet bedding, carpets and furnishings in the house. Kills fleas and ticks on contact. Goes on killing fleas for up to 14 days. For use around the home and on cats and dogs from 12 weeks old.